Join us for our 5th annual New Year’s eve party! 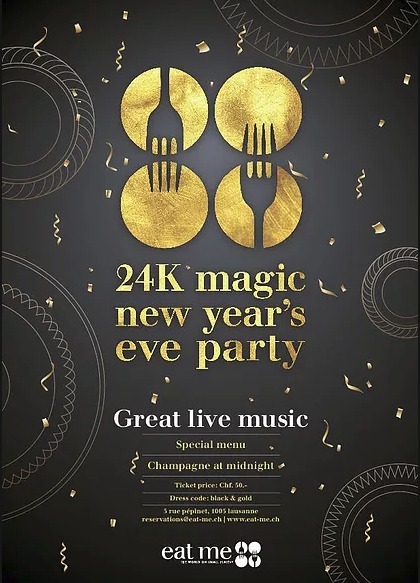 This year will be a night of 24K MAGIC with a live band performing solid gold hits! We will have a countdown and champagne toast at midnight, and will keep the party going into the new year!